According to sources close to the BJP, members of the party's state unit legal cell have already reached Delhi to complete the legal formalities. Kolkata: Accusing the West Bengal's ruling Trinamool Congress of pre-poll violence, the BJP on Wednesday said it will seek the Supreme Court's intervention to ensure "free and fair" Panchayat elections in the state. 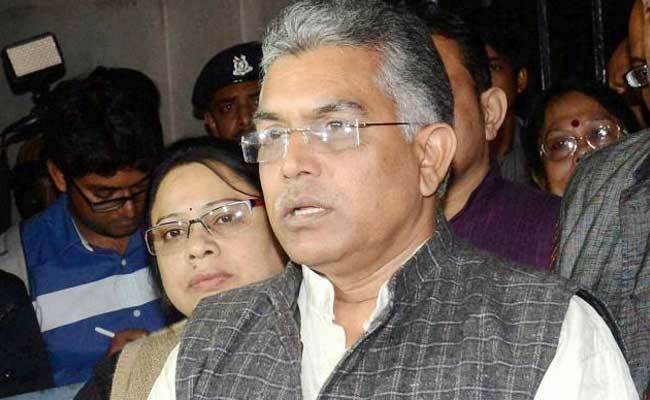 "We will appeal to the Supreme Court to direct the state administration to conduct a free and fair Panchayat polls so that everything, starting from the nomination process to counting of votes, can be conducted peacefully," Bengal BJP President Dilip Ghosh said. A group of BJP leaders and activists also agitated outside the office of state Election Commission on Wednesday, demanding strict action over any violence taking place during the filing of nominations for the rural elections to be held in the first week of May. Police personnel barricaded the Election Commission office. Referring to the communal tension in West Bardhaman district's Raniganj Asansol area centering on Ram Navami rallies, Mr Ghosh said his party would also file a defamation case against a newspaper for blatantly blaming the BJP for violence, without any evidence. "They have reported that a police personnel got injured in Raniganj after BJP activists hurled bombs at him. This is completely baseless. We will file a Rs 10 crore defamation against the publishing house," he added.